The last copy I printed still is very clear and of good quality, so presumably there is still sufficient toner inside the cartridge. Buy because the counter must have been factory set to stop printing at certain copies printer and then prevented the printer to stop printing despite there still being sufficient toner inside the counter. 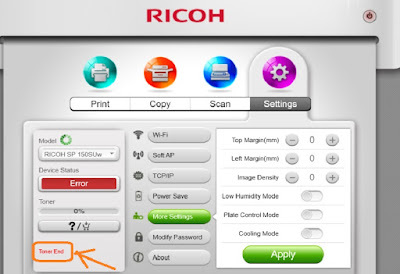 Very wasteful and very unscrupulous of Ricoh. 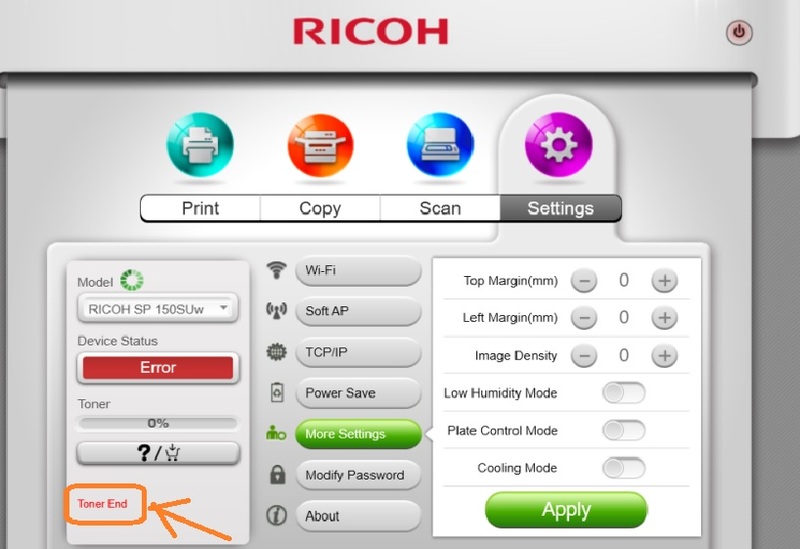 This is the reason I am ging a very bad review to Ricoh SP150suw laser printer.